Some days, breakfast time flies by like a blur. And some days… what breakfast? My early risers have a lot of prep for school and sometimes try to squeeze in that last bit of sleep in the morning. Then there is always that child who loves to sleep until the absolute last minute, right? And then, breakfast goes out the window. It’s nice to have some of these nutrient-packed breakfast parfaits prepped in to-go cups to zip out the door with them. I love how tasty this cottage cheese fruit granola parfait is. 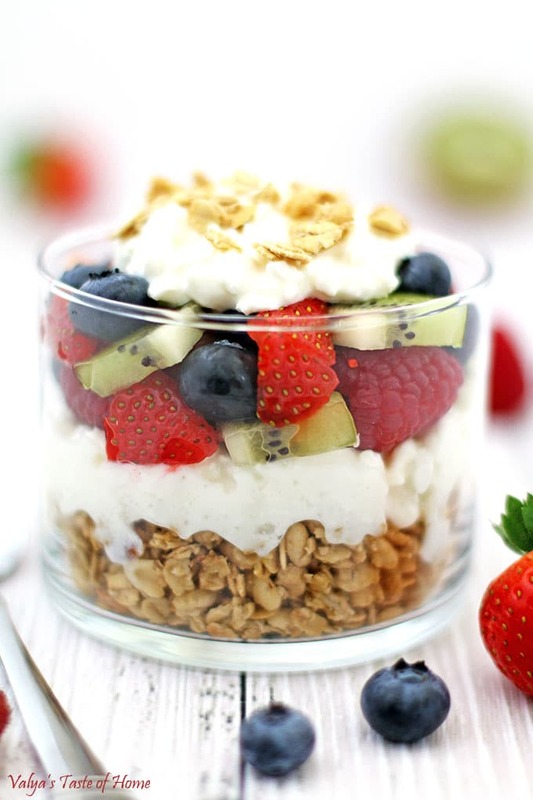 Layers of cottage cheese, granola, and many berry goodness! Full of protein, fiber, incredibly easy to make and absolutely fantastic! It keeps you pretty full without a lot of calorie intake. 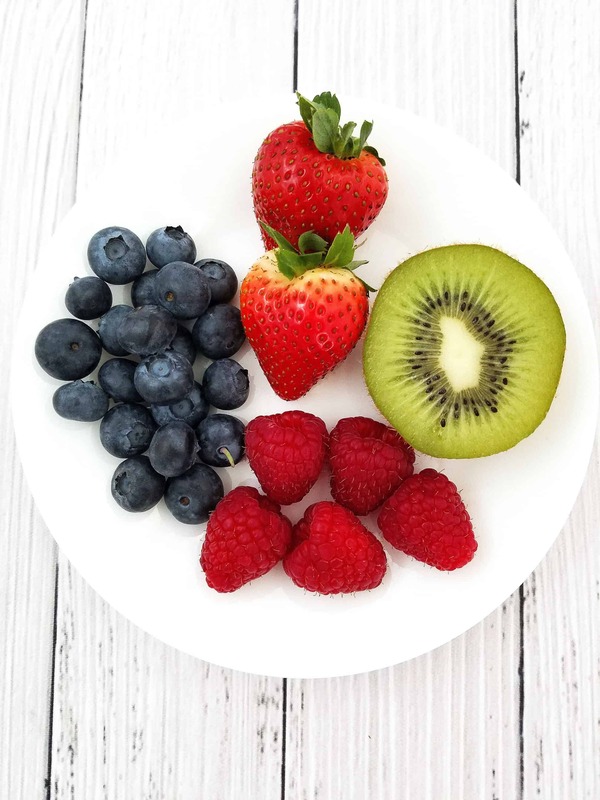 Who can resist such a healthy and satisfying breakfast, or an anytime snack or dessert if you drizzle on a bit of honey? If the parfaits are not eaten in the morning it’s no biggie because they make a fine after-school snack before kids dive into their homework. Give it a try! Rinse fruits and pat dry it with a paper towel. Slice strawberries and kiwi into smaller pieces. 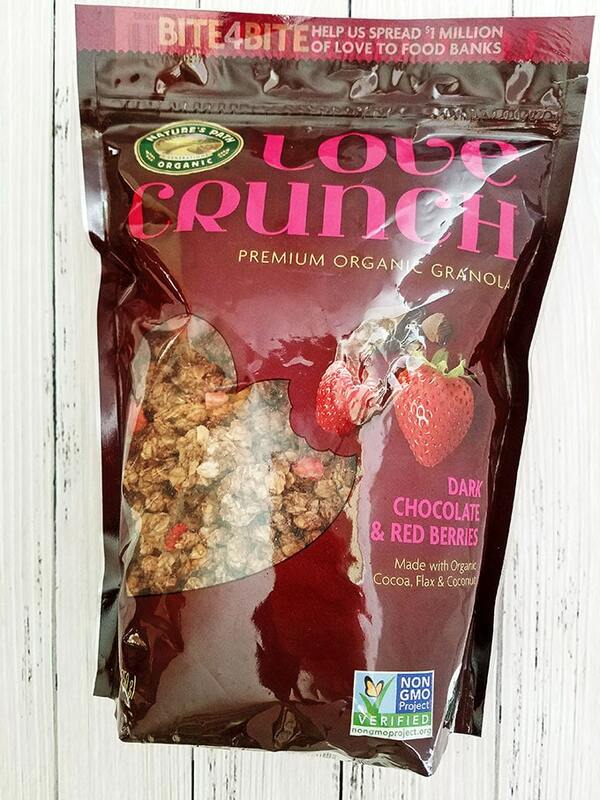 Place granola on the bottom of a 16 oz. 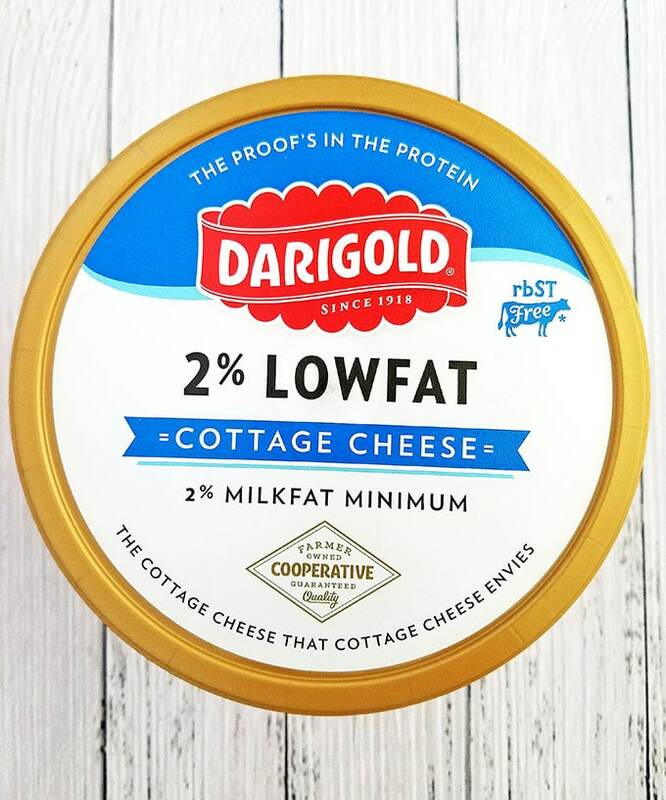 (473 ml) cup, add cottage cheese, fruits, and then top with a bit of cottage cheese. Sprinkle a few grains of granola for a decorative touch. 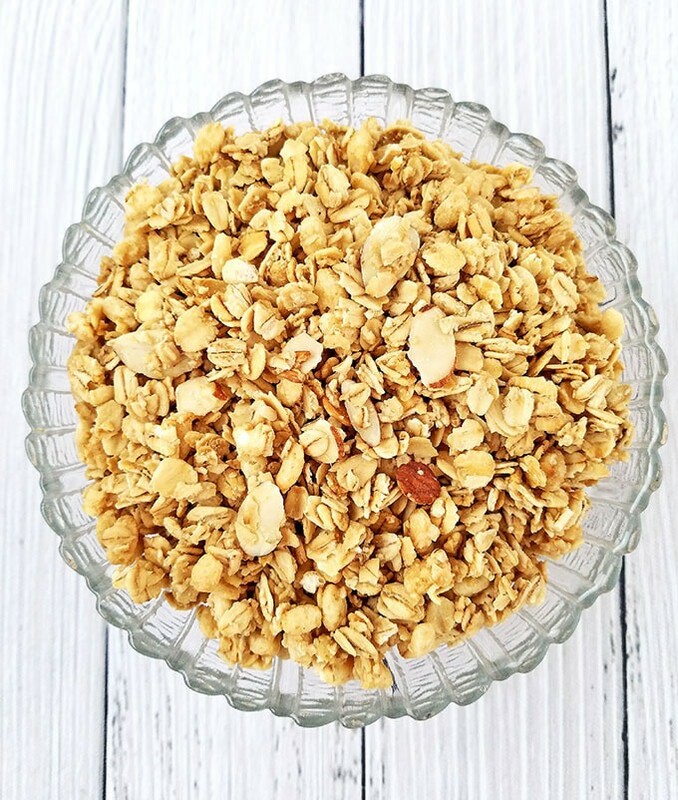 If you make this Breakfast Cottage Cheese Fruit Granola Parfait Recipe please share a picture with me on Snapchat, Facebook, Instagram or Pinterest. Tag with #valyastasteofhome. I’d love to see your creations! ? 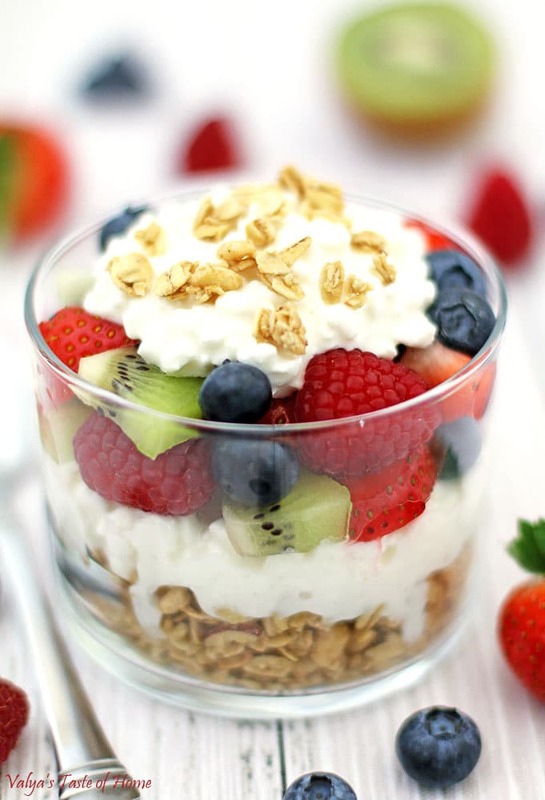 I love how tasty this cottage cheese fruit granola parfait is! Layers of cottage cheese, granola, and lots of berries. Full of protein, fiber and incredibly easy to make! It also keeps you pretty full without a lot of calorie intake. 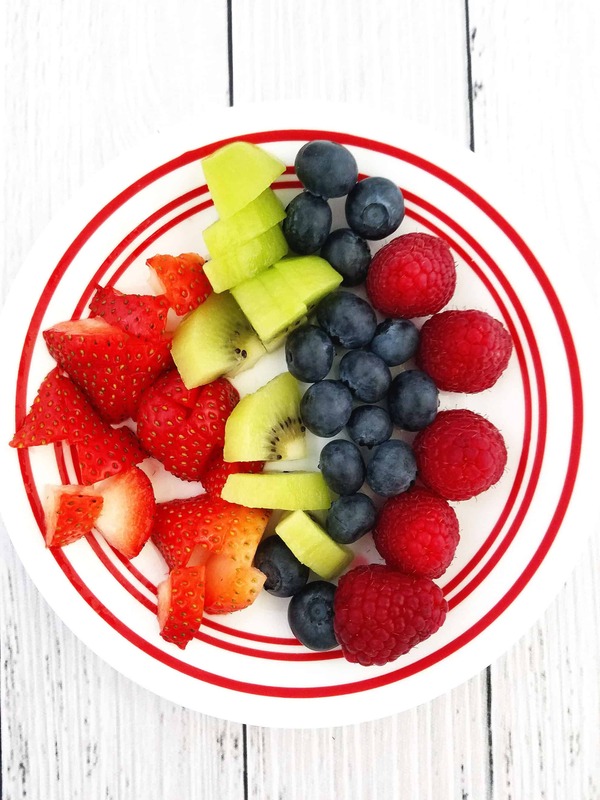 Who can resist such a healthy and satisfying breakfast, an anytime snack or dessert if you drizzle with a bit of honey? 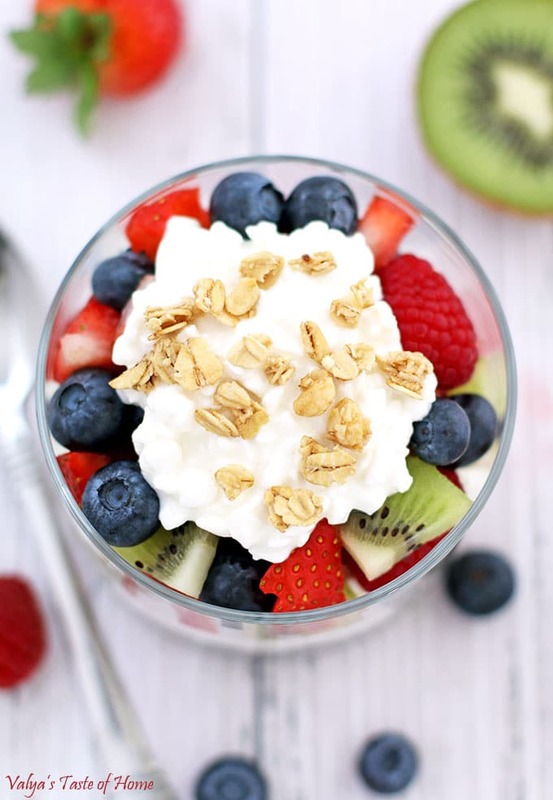 Check our this BERRY GREEK YOGURT GRANOLA PARFAIT and more delicious BREAKFAST recipes. That’s my kind of breakfast! Thanks for sharing your recipes!